100% Caprylic Fatty Acid (C8)- Medium Chain Triglyceride (MCT) triple distilled from highly refined coconut oil. Now free from Palm Kernal Oil! This is your fuel to power brain and body. 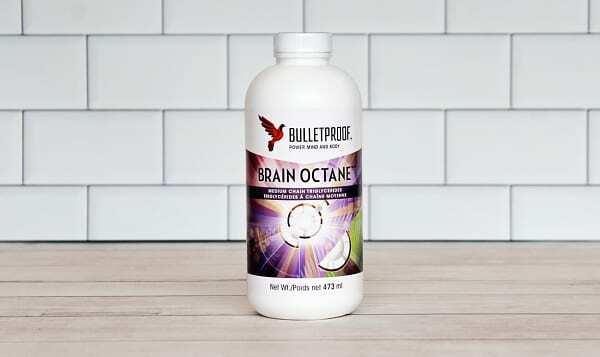 Bulletproof Brain Octane Oil gives your body what it needs- an efficient high-energy fuel. It is totally flavorless and totally satisfying. It is great on salads, mixed into smoothies, and is a key ingredient in the Bulletproof Coffee recipe. Brain Octane oil keeps your brain on full blast and your belly slim. It’s a brain-boosting fat, extracted from the most potent part of the coconut, that is converted into brain-fueling, fat-burning ketone energy more efficiently than MCT or coconut oils that contain Lauric Acid. What’s that mean for you? More brain power and lasting energy with fewer cravings. This product traveled 1362 km to reach our warehouse. Their Mission is to help people perform better, think faster, and live better using a proven blend of ancient knowledge and brand new technologies, tempered by research, science, and measured results from our customers, top athletes, and medical professionals.